LAST ONE! Kids Toy Bag. Drawstring Pouch. Planes in the Sky. Boys Toys. 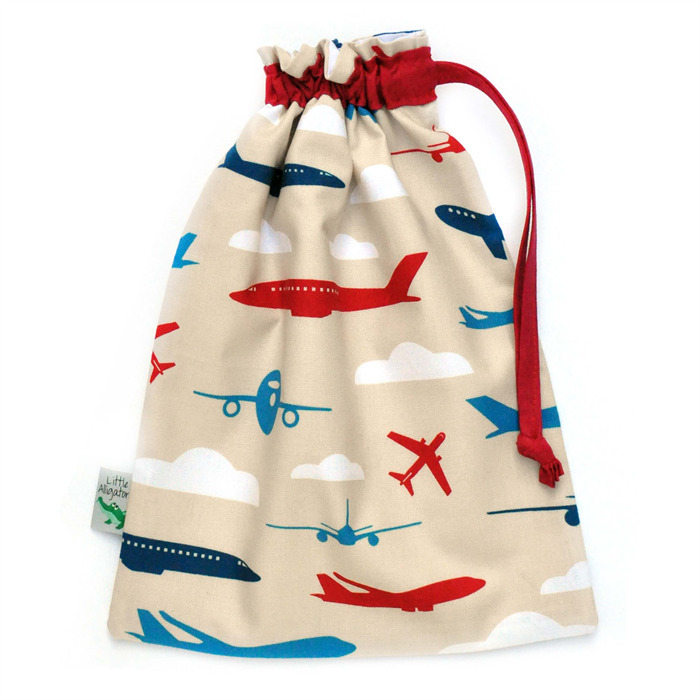 Boys will love carrying around this gorgeous little drawstring toy bag. 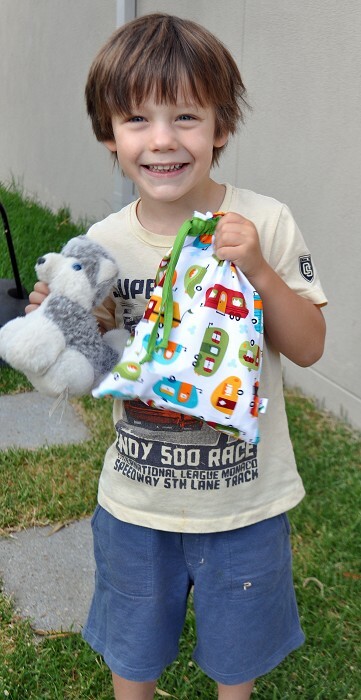 They can fill it up with favourite cars, animals, planes, colouring-in gear and other special treasures. It's so durable and fits more than you would think - 35 matchbox cars is the record! These bags make great gifts too, on their own or use as a special gift bag with a present inside. Mums find them handy for organising smaller items within their nappy bag. Later, it's a toy bag! Great for containing toys, pens, & toiletries etc. while travelling; in the car and in suitcases. 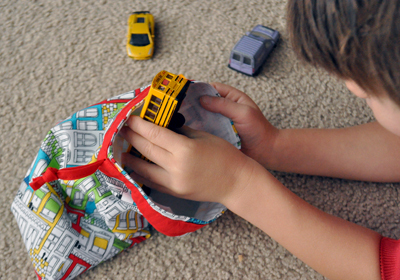 Use it as a shoe bag for toddlers or to store first aid, hair accessories, DS games, ipods etc. Fully lined with white cotton. Features a handmade contrasting casing and drawstring. Edge seams double stitched for durability. Measures approx 20cm (7.75") wide x 25.5cm (10") high. Easily hand washable in cool water. * Pattern placement may vary. * Please note that the third photo is an example of the interior of each bag. The bag for purchase is shown in the first photo (planes). Thank you for visiting Little Alligator. If you have any questions, please feel free to send me a message. Please click on my store banner to check out my other items! Newsletter: http://eepurl.com/z8lxf. All subscribers go into the quarterly draw to WIN a $20 discount voucher!! Payments can be made through Paypal. You can choose to pay via your Paypal account or using your credit card. Payment must be made within 15 minutes if you choose this option. For Australian customers, I also accept payment via Direct Deposit. All items will not be sent until payments have been cleared. Direct deposit may take several days to clear.